I’m working on the second part of Sheltie Talk again. Whether it ever gets printed will be determined by whether there are enough pre-orders to cover the cost of printing and binding. The mere act of writing it, though, brings back a lot of memories. Back in 1974 I was working as a Publications Specialist at Colorado State University and had been showing my first Shelties in conformation and obedience for a few years. My husband bought my first purebred Sheltie from Beverly Muhlenhaupt in 1967 as a first anniversary present. In 1969 I entered her in obedience at the National Specialty show and it was there that I first saw Ch. Halstor’s Peter Pumpkin. I just had to have a puppy sired by Peter, and after a couple of years that wish had come true and I was involved in conformation shows and breeding my own first litter. At the time there was a Sheltie club in south Denver, some 65 miles from my home in northern Colorado, and an all-breed club in Fort Collins, but no breeders in the immediate area until I met Barbara Hagen, who soon after married Freedo Rieseberg and moved to Erie, just 20 or so miles away. We became good friends, and eventually co-breeders. Barb taught me a lot about Shelties, especially concerning grooming and breeding. We would spend hours discussing bloodlines and going over each other’s dogs. Barb was not mentored me, but to many other novices as well. On day we were discussing the fact that the only Sheltie books on the breed were generic, not at all breed specific, and that, living in the rural west as we did, it was difficult for a beginner to learn enough about the breed. Barbara said she would like to do a book but didn’t know how or who would publish it. I commented that I had worked on textbooks at the university and knew how to get a book produced. The idea grew. Then a group of people from the same office where I worked left CSU to form a publishing company locally and agreed to publish the book if we wrote it. I think we worked on it for about a year. We split the outline in half, each writing half of the chapters. One of my favorite memories is that one of Barbara’s Shelties literally ate the training chapter. This was in the days of typewriters and handwriting, so we didn’t have a convenient digital file to go back to. It had to be written again from scratch. I had sold a companion Sheltie to a young girl who lived close by. She was eager to learn and asked to come and work with my show dogs. Soon she was show training puppies and obedience training her own dog, and we used her for a model for the training photos. She and I remained friends for many years until she was married and moved away. We invited other Sheltie breeders to bring their dogs for a photo session. A new Sheltie club was formed in the area and we hosted meetings where members brought their dogs. Many of these Shelties ended up illustrating something in the book. We also requested photos from breeders everywhere, and were gratified with the response. I remember sitting on the floor of my living room with Barb, shuffling the actual typed chapters around to organize the book. When everything was together, we had the manuscript edited so that, by the time it was finished, even we could not tell who wrote which sections. It was finally ready to go to press. But, as luck would have it, the new publishing company had by that time run through its initial startup capital and was floundering financially. After a resounding response to a prepublication offer for the book, they decided they could not publish the book after all and we were back to square one. Barb and I discussed it with our husbands, gathered up our meager savings, and took the book to a local printer. We couldn’t decide on a name for our “publishing” company, and at the last minute, needing a business name and address, came up with Alpine Publications. Had we known what the future would hold I think we could have done much better. 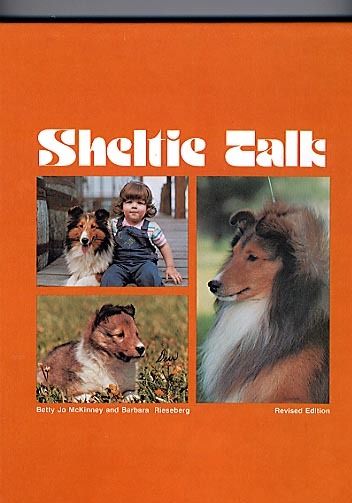 Sheltie Talk came out around Thanksgiving in 1975 and the first printing sold out by Christmas. We set up an office in my house and stored the books in our basements. Our husbands took turns packaging. Before Christmas that year we shipped boxes that literally filled the two spare rooms in my house every week. The response was amazing! stayed in print for 10 years. It was so successful that other authors or would-be authors began asking if we would publish their book in a similar format. One of the most notable was well-known Collie breeder/judge Bobbie Roos, whose Collie Concept became a top-selling breed book for us. We were also contacted by then popular trainers Margaret and Milo Pearsall and published a book for them. It was all very exciting and somewhat overwhelming. By 1980 we had a number of books in the works when Barbara unexpectedly passed away due to complications after a surgery. I was devastated. I had lost my best friend, my Sheltie co-breeder, my business partner and mentor. I had a major decision to make: stay at the University and give up the business, or take a chance on the publishing company and leave the University. I chose the latter, and have never looked back. By 1985 things had changed enough in the dog fancy that the book was in need of major revisions. I rewrote most of the book, with help on the grooming chapter and a few other sections by then professional handler Barbara Ross. Barb and I trailered the first printing of the second edition to the National Specialty, along with a number of show dogs, grooming equipment, etc. We had water for the dogs in the back of the trailer with the book boxes. Upon arrival at the show we opened the trailer to find that the water had spilled on the bottom boxes of books. Before we could do anything else, we had to unload the whole trailer, open boxes, and check and dry off some books. Fortunately only a few books were damaged. The second edition, miraculously, stayed in print for 25 years until 2010. Having just moved to western Colorado after my husband’s retirement and well occupied with trying to re-establish a staff and office there, I decided to revise the first half of the book, hoping that if I put it out into two parts, pet owners or prospective owners could purchase Part 1 while those interested in showing and breeding could eventually get both versions. By this time the cost of printing started in 1975 as a $15 book had raised so much that the retail price the full hardcover volume would have been at least $50. I hoped the two-volume plan would be a solution. It wasn’t! Sales fell so far below previous levels that it has never appeared economically feasible to publish Volume II. In the past years, I have had requests for the full book, as well as Part II. Copies of the 1985 edition are becoming fewer and more difficult to find—thus the decision to put it all back into one edition if there is sufficient demand. It is the Sheltie Breeders of America who made this book successful. I am eternally grateful for all the wonderful support, praise, recommendations, and people who gave or required every puppy buyer to obtain a copy. 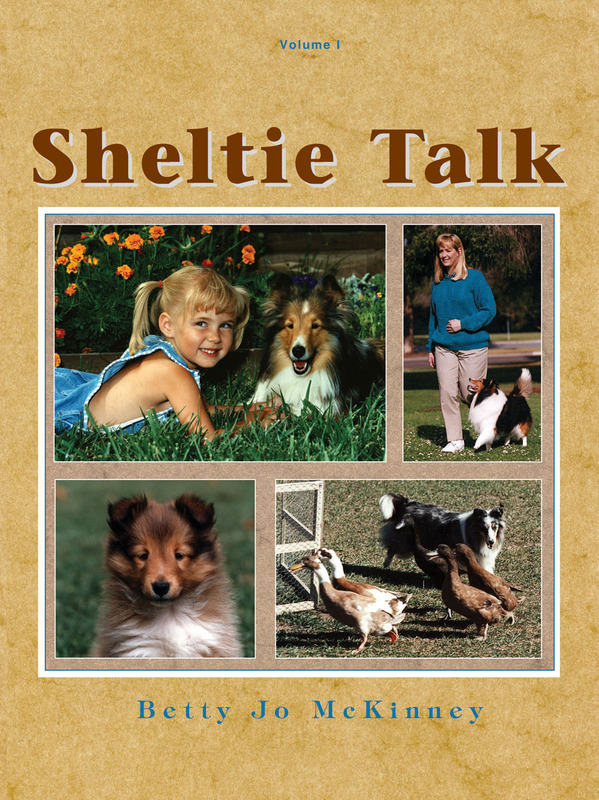 The success of Sheltie Talk is not because of my ability as a writer or as Sheltie expert. It was just my (and Barbara Rieseberg’s) honest desire to try meet a need, and your acknowledgment of that need. Today, with the internet, I truly don’t know if the need still exists, but if it does, know that it is your support that will make publication of a new edition possible. You can contact me via the address at the top right. Alpine Publications would like to hear your opinions, experiences, and input. We'd like to turn this blog into a dialog. Please comment on our posts and let us know what you like. Alpine Publications is a Colorado based book publishing company that publishes the best horse, dog breed, dog training and care, and puppy training books. I am interested in BookII.! I have a UDX 2 dog that has passed, that was from Barwoods background. My Shelties are shown in Obedience,Rally, Agility and one 14 yo that got to herd this year. She was ”bit” by the herding bug but after my friend got a broken knee from a sheep, I was too afraid to get in there to run her. She would run you down to get to them. I just let her do it so I could get some pix of her with them,she was in heaven,lol.